Last weekend, the Hendricks County Convention and Visitors Bureau had a booth at a local bridal show. Several future brides came to our booth with excited anticipation about their upcoming day. Some had many of their plans in place while others were just beginning. Preparing for your wedding can be one of the most exciting, intimidating and stressful times of your life. It is, after all, supposed to be the most important day of your life, and you want it to be perfect. When I planned my wedding, it became like a second job. 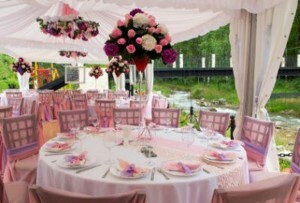 Almost every minute of every day leading up to the wedding was spent thinking about where to have the reception, where to get the flowers, what kind of cake to have, where to order invitations and all of the millions of other details that go into planning a wedding. I wished I had one place to go to find the answer to all of my questions. 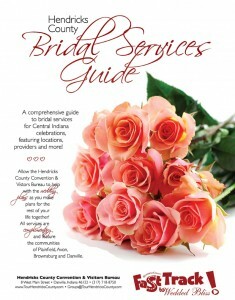 While you are planning your wedding, the Hendricks County Convention and Visitors Bureau is a good place to start. We will help you put all of the pieces in place. 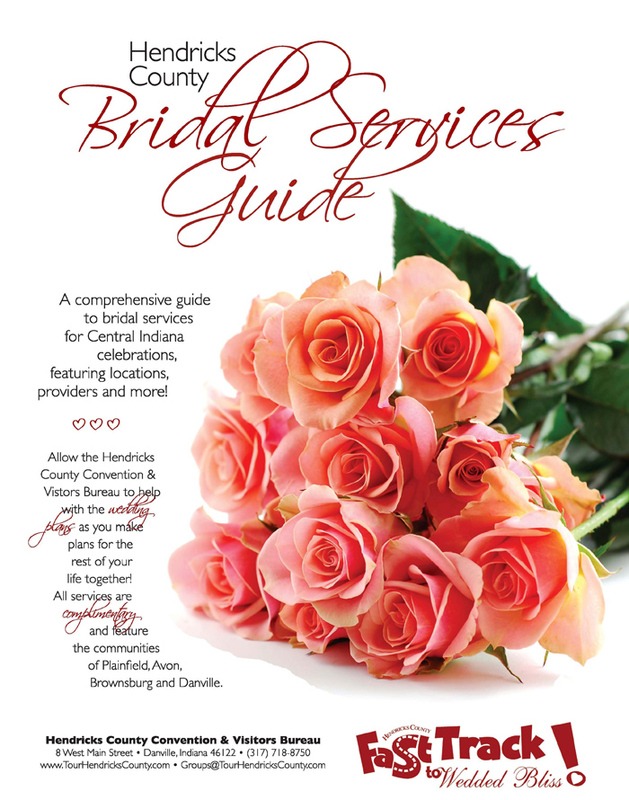 The HCCVB prints a Bridal Services Guide that lists all of the places in Hendricks County you might need to contact to make it the day you’ve always dreamed of. The guide lists places such as ceremony and reception facilities, caterers, wedding rentals, florists, entertainment and more. Another free service the HCCVB provides is helping brides block rooms at a Hendricks County hotel for their out-of-town guests. Just let the HCCVB know what days the guests will be here, approximately how many rooms you need and if you have any special requests such as a need for a bridal suite. We will contact all of the hotels directly and get their best rate possible for your group and forward it on to you. Then, you can pick which hotel you would like to reserve for your guests. Not only can you check one more thing off of your list, but by seeking our help we also will provide free welcome bags for your hotel guests. Wherever you are in the planning process, the Hendricks County Convention and Visitors Bureau would like to help. Although my wedding day wasn’t perfect, it turned out pretty good, and to be honest, I kind of missed having it to think about when it was all over. So, I’d be more than happy to help you prepare for your wedding. If you missed us at the last bridal show, we will also have a booth at an upcoming show at the Crown Room in Brownsburg from 10 a.m.-4 p.m. March 17. We will have our Bridal Services Guide there as well as a gift for all brides. If you can’t make it there, feel free to e-mail me, call me at (317) 718-8750 or visit us at TourHendricksCounty.com.